These two photos I made during cycling in central Germany. 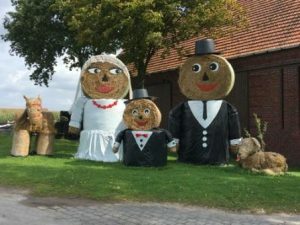 It is interesting to note that German farmers do these sculptures not for attracting tourists, but solely for themselves. The cost of manufacturing each such figure should not be underestimated. 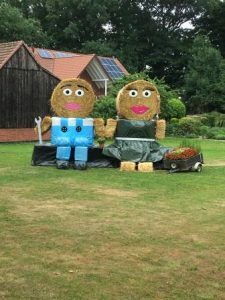 To produce them you need not only patience, straw, cellophane, but also a crane or excavator.